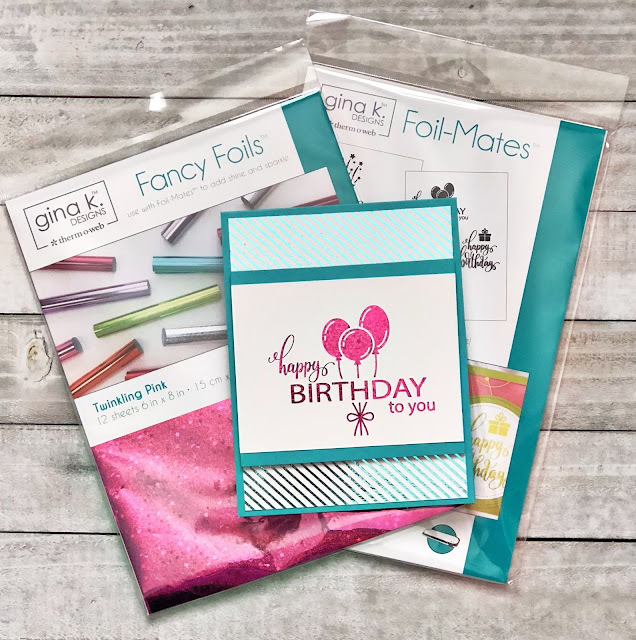 Gina K Designs Foil-Mates by Therm O Web and a HUGE giveaway!! Hey there! Welcome back from your weekend! If you are in the US I hope you had a fun and safe Labor Day. 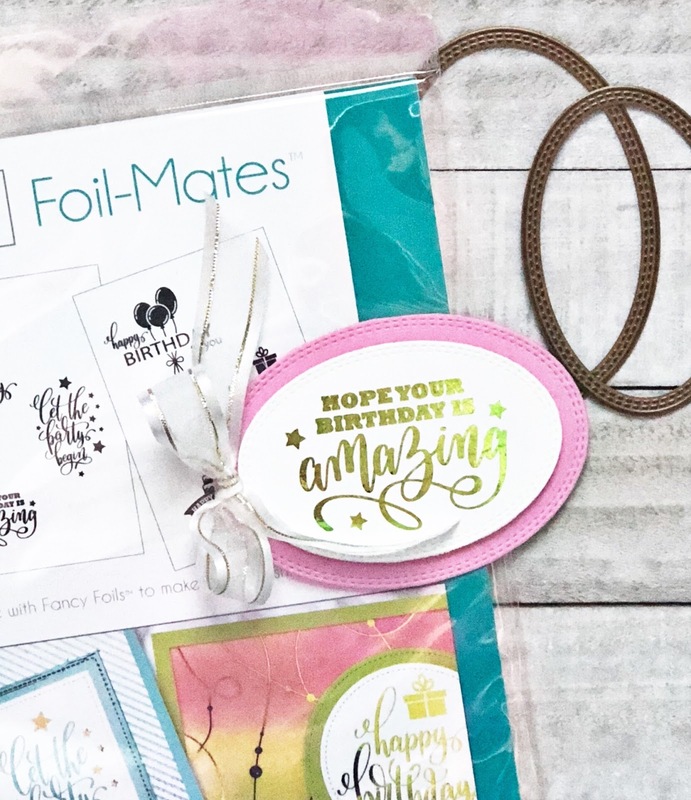 Today I get the the pleasure of reviewing the Gina K Designs FoilMates by ThermoWeb. I had so much fun playing with this. I have to tell you that it can be quite addicting! This card seriously took me less than 15 minutes to put together including all of the foiling done. *Get your parchment paper at the dollar store. You will save a ton! *If you don't have a laminator or if it breaks (which mine did during the review) your flat iron will work in a pinch! * I loved the ease of use. Takes no time at all. * I loved that I could use inexpensive tools and products (parchment paper) and still get amazing results! 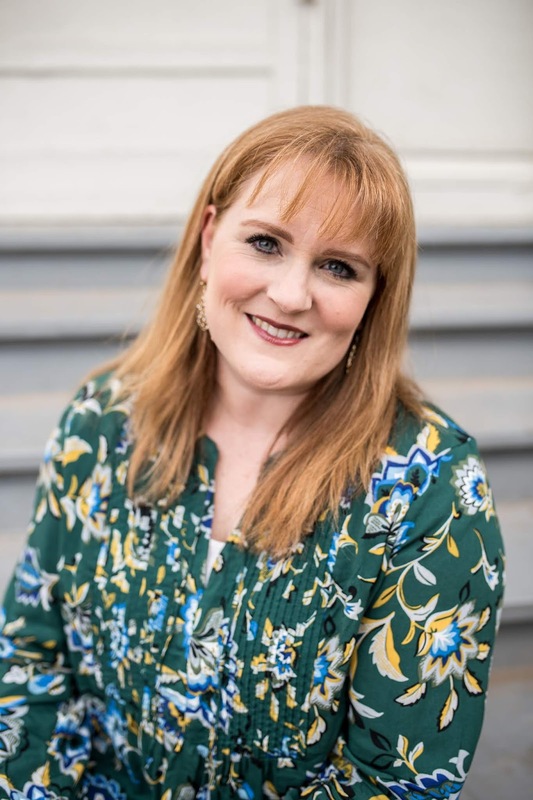 * I loved the variety of products available to use! *Sometimes the foil doesn't cover the entire image. You will see black outlines. Now for the GIVEAWAY!! So Therm O Web so generously donated this giveaway. It is HUGE!!! It retails for over $180!! To enter leave a comment telling us what you would foil. Winner will be announced next Wednesday. Good luck! I just bought foil not to long ago and the paste/glue and I used it with my stencils I haven't tried the cool printed ones yet I've been dieing to tho!!!! Your cards are beautiful and you can't tell it only took you 15 minutes! I love what you did! I would love to try these on cards for sure and some home decor stuff too! Thanks for the chance to win some goodies! I would foil some card backgrounds and probably doe cuts. I've been wanting to try out some foiled printed quotes or personalized stationery! I would get started on making foiled Christmas cards! Love the look and thanks for the opportunity to win! I LOVE the look of foil!!! And want to try it using ALL the things! �� my stamps, and dies, and embossing folders! Sparkle & Shine adds so much to cards, but I’m much more hesitant to use lots of glitter because it’s so messy, so I tend to resort to other methods to achieve the classy look! This is right up my alley! I would love to foil butterfly and add them to cards.christmas and Birthday cards just scream for foil. I am thinking about fall cards. How pretty they would look with foil. I’m would love to do all my Christmas Cards in foils.... I think they would look Amazing and stand out!!!!! I would make birthday cards! I would love to use foil as accents on my homemade cards...especially those for weddings and anniversaries. I would also love to foil sentiments. I think the foiling would help show those I send the cards to, just how special they are to me. The older I get, the more I'm drawn to bright and shiny...cool, glitter, etc. So I would use the foil on everything...probably starting with Halloween and Fall cards. Just bought a hot laminator and can't wait to start foiling...looks like so much fun and would love to add some "wow" factors to flowers, leaves, butterflies etc etc. Would make awesome Christmas and wedding cards too...so many possibilities and so versatile! Oh, I would love to use the foil on Christmas cards! 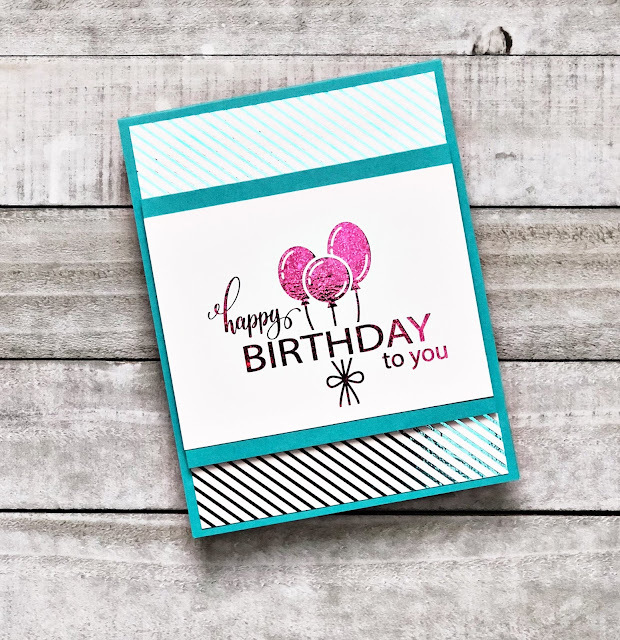 Birthday cards would definitely "pop" too. Possibilities are endless! I would foil backgrounds and words to make happy birthday cards. I would like to try the foil with stencils. I have very limited experience with the foil so I am now inspired to do more. My favorite use of foil is to type an inside message, poem, etc. Print on Laser printer and foil. That makes the inside match the beautiful foiled fronts. Whoa, what an amazing giveaway! I'd foil ALL THE THINGS!!! I've been wanting to try it. I would most like try making gift tags for the holiday season. I just received the foils for the sunflower Gina K stamps and dies. I needed a refresher course and I enjoyed the hints and help today. Foiling adds that little bit extra to your projects. I’d foil some sentiments. Great review. Here is a tip that Gina has shared in her demo videos. Place a piece of cardstock in behind your item you are foiling. This prevents the black spots that happens with some laminators. Thank you Thermoweb for this generous giveway. OMG Love it! I have purchased Gina K foil mates in the past few months, but never made time to use them. I definitely have to pull them out. I would foil cards and make embellishments for my scrapbook layouts. I would probably foil everything I could fit through the laminator. This is such a fun and fresh look. Would love to give it a try. I have a new granddaughter and would love to send some cards to her. Foil touches are beautiful on cards, tags, and gifts. I would love to use foiled designs on just about anything, including home decor. 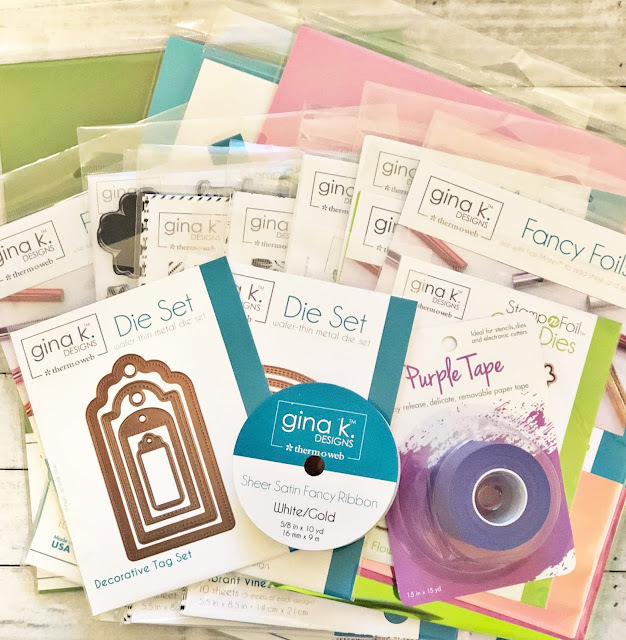 Thank you for the chance to win an assortment of products to make my crafts even more fun to make! Oh, I LOVE foiling and would pretty much put some foil on everything I make. I love making party decor and favors, so a little bit of foil would be perfect to add to those. Gift tags and cards, and gift bags...all could use some shine! Would love to foil my Christmas cards! The foil would make them so shiny! I love Gina K & Thermoweb's full line for being able to add foil to my cards. I wish there was an ultimate Sentiment pack. For example, Thinking of You, Get Well Soon, Hello, Hi, etc. This would make me very happy. Of course the size would have to be like Gina's and also fit her tags. These foil effects are BEAUTIFUL. And seriously < 15 min.?! I would foil ALL the things! They'd especially make an impact on cards and tags. Now my question is - do I need a laser printer to print these designs, so that the laminator will pick it up? I remember reading that somewhere, but since I'm a newbie to foiling, I just don't know how this amazing craftiness works?! 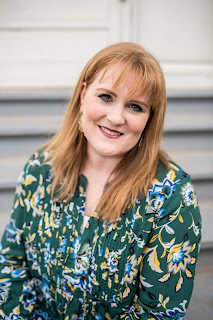 Gina K rocks - Thanks for the chance to win! Foil is a great way to add elegance and beauty to a card, and would be wonderful on Christmas cards in particular. I've used foil only once or twice and had the same problem with some parts of the design not adhering completely but I've ready a few tips on how to solve that, so it would be worth experimenting. 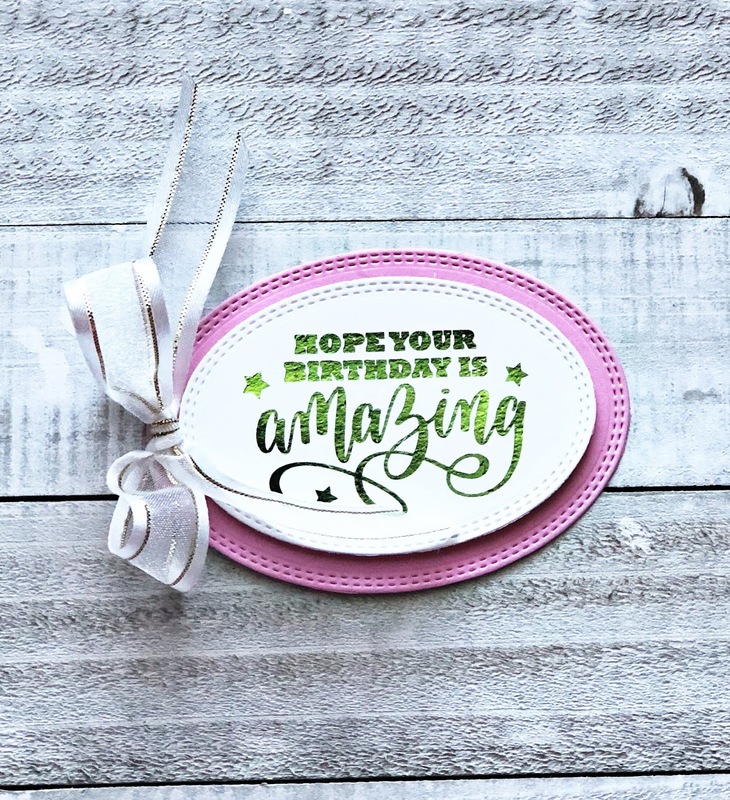 Your card is so pretty with the foil birthday theme! Thank you for the chance to win this prize pack. I just told my dad I'd make him a ton of cards for his birthday so I would love to be able to add foil to some of these! What a wonderful prize. I would foil some Fall cards and then onto Christmas tags. I’d foil everything!! Ok, seriously now. I’d foil on my handmade cards, my scrapbook pages and on a calligraphed quote I love (my writing) for a home dec piece. This looks like such an easy way to really "snazz" up all kinds of things. I'll bet Christmas cards would look gorgeous and could be made in a snap! Thanks for the chance to win this prize -- loved your review! What an amazing give away! I'd love to make some foil birthday or Christmas cards. How fun, love your projects! I'd whip up a bunch of cards! Really intrigued by the backgrounds! This just might be worth buying a laminator for. I'm a card maker and I can think of all kinds of possibilities! Thanks for a chance to win. I would foil some Christmas cards for my mother. Do not have a laminator yet. Thank you for the suggestion of using a flat iron in the mean time. You inspired me to experiment and explore! I love Thermoweb foils! I'm hoping to use them to do all my Christmas cards this year! Would love to give this a try. I love the look of foil. Thanks! I make Christmas and all occassion cards and I would use the foil to make them stand out. Love the colors you used on your cards. They are gorgeous! Thank you for sharing and for the chance to win! I would love to win this giveaway. I would make some Christmas and Fall cards. I love the cards you created. This would be a nice bday gift this month. I would love to make some Christmas cards with these foils! I want to foil my Christmas cards! A tree, gifts, star, snowflakes.....just one item per card so it stands out.